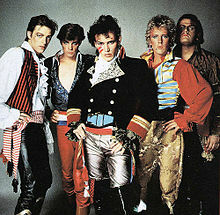 What was Adam and The Ants first U.K. Chart Entry? In what year was Stand and Deliver a U.K. Number One? What was Adam and The Ants' only U.K. Number 1 Album? What fee did Adam pay Malcolm McLaren for his role of Image Consultant? What is Adam Ants' real name? In Which City was Stuart born? 3 out of 6. I couldn’t decide between 82 and 81 for the year. Should have gone with my gut! Fab quiz – love Adam and the Ant and still do 30 years on. Adam is better than ever with his new band and have seen him live three times. Going again in November!